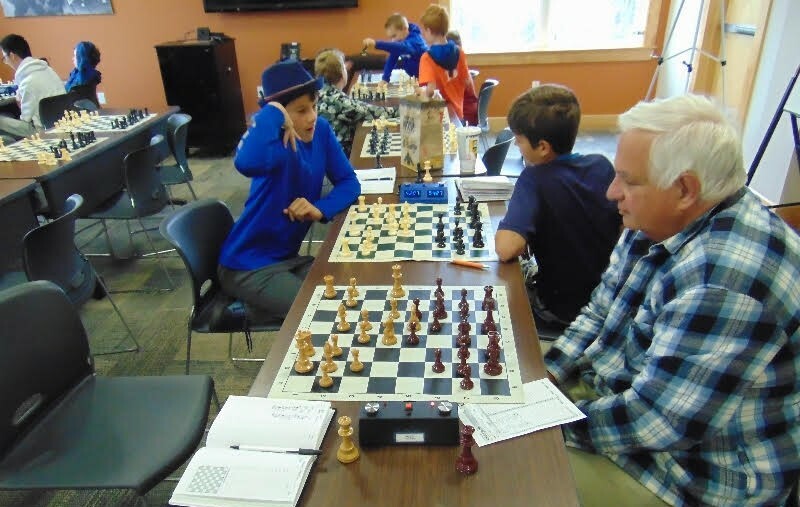 10.15.18 Twenty-seven players turned out to celebrate National Chess Day at the Brewer Community School National Chess Day Tournament on Saturday, October 13, 2018 at Machias Savings Bank in Brewer. 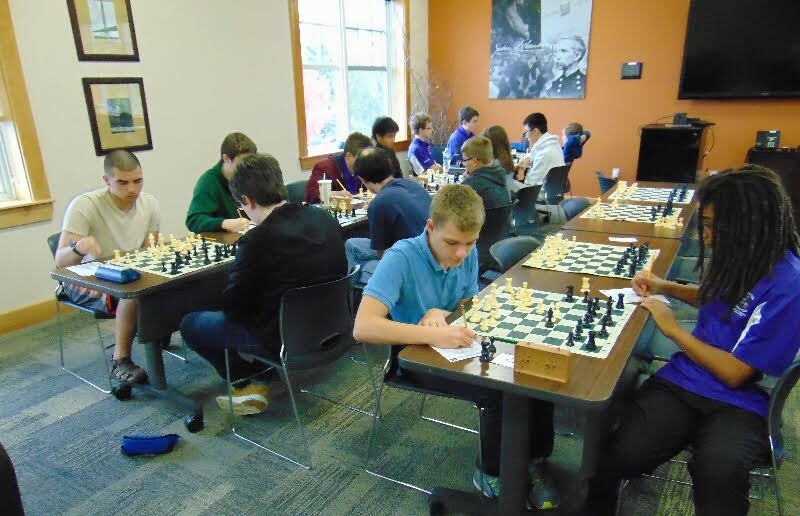 The tournament had three sections: an Open Quad, U1000, and K-6 Unrated. 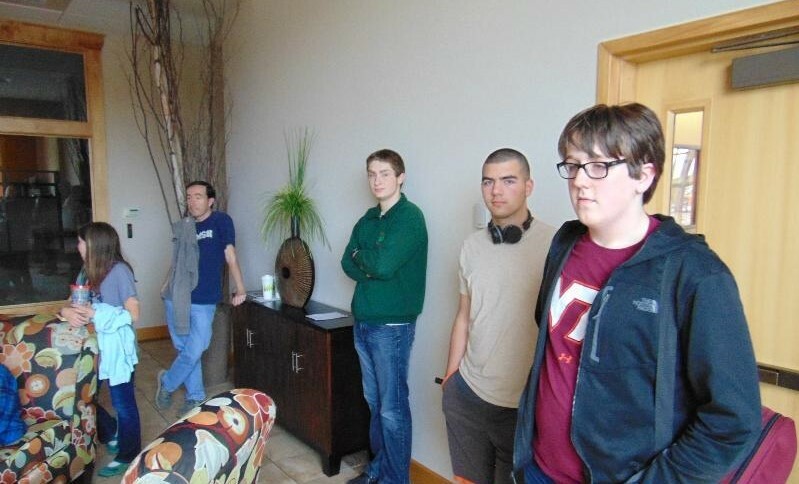 Winners were Bill Hartt, Kaleb Pendleton, and Joshua Lorenzo respectively. Thanks to Steve Wong and Roger Morin for contributing to this report. 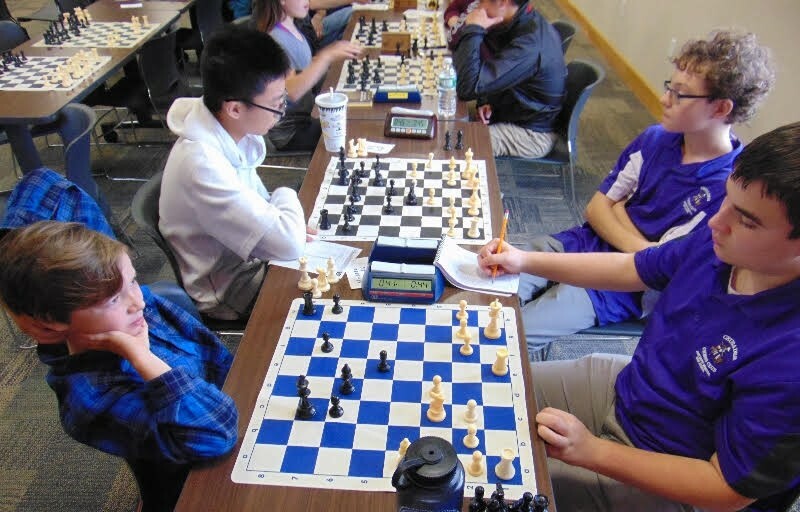 Bill Hartt won the Open Quad section with 3.0 points in three games. Roger Morin held on to sole second with 2.5 points. William Wenz finished third with 1.5 points. Roger Hardison and Evan Smith shared fourth place with 1.0 point apiece and Tristan Cousineau went scoreless for fifth place. 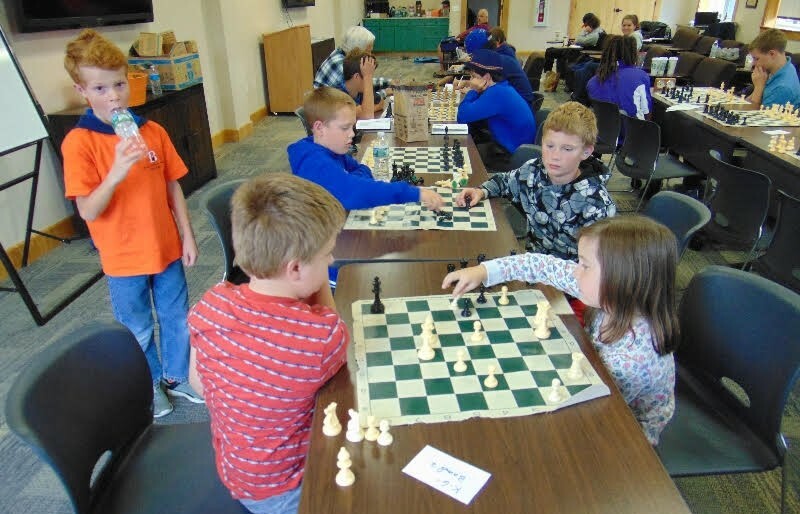 The sixteen player, four-round U1000 section was topped by Kaleb Pendleton with a perfect 4.0 points. Leo Wlodkowski finished just half point of the lead with 3.5 points and second place. Tony Huang, Devon Hunter, and Dylan Madden tied for third place with 3.0 points. The Unrated K-6 section was an eight-round event. Joshua Lorenzo of Hampden put up a perfect 8.0 points for first place. He was trailed by Frances Bayless and Matthew Goodwin who both scored 5.0 points. Carter Bobb scored 4.0 points and Trevor Dicentes rounded out the section with 1.0 point. U1000 section winner Kaleb Pendleton (right) takes a break waiting for the awards ceremony. 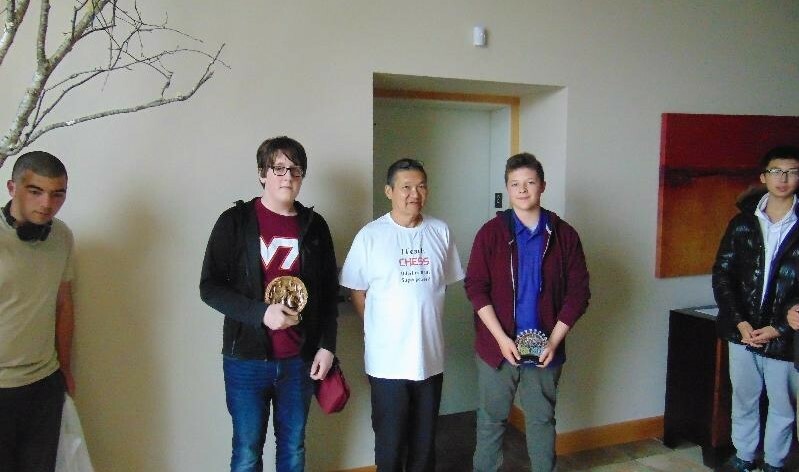 U1000 section winners Kaleb Pendleton (Medomak Valley High School) (left) and Leo Wlodkowski (John Bapst Memorila High School) with tournament director Steve Wong. 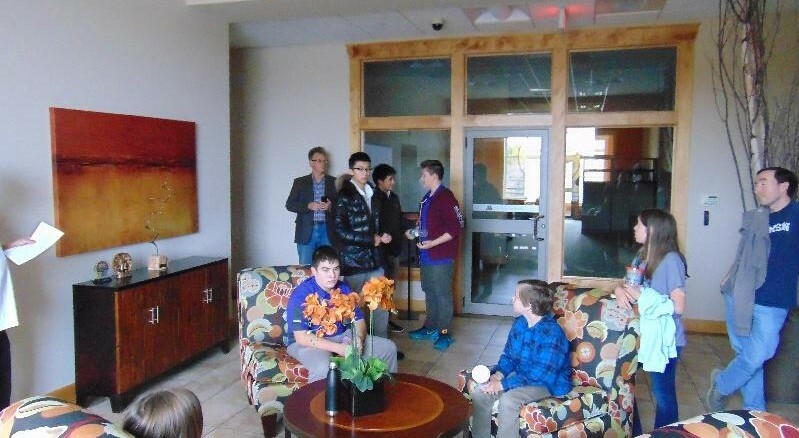 The common room at Machias Savings Bank in Brewer site of the Brewer Community School National Chess Day Tournament. 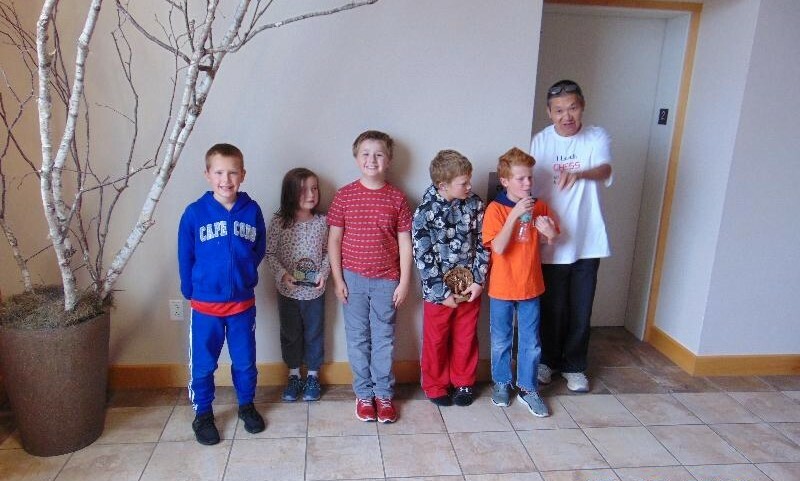 Frances Bayless presses her advantage in the Unrated K-6 section. 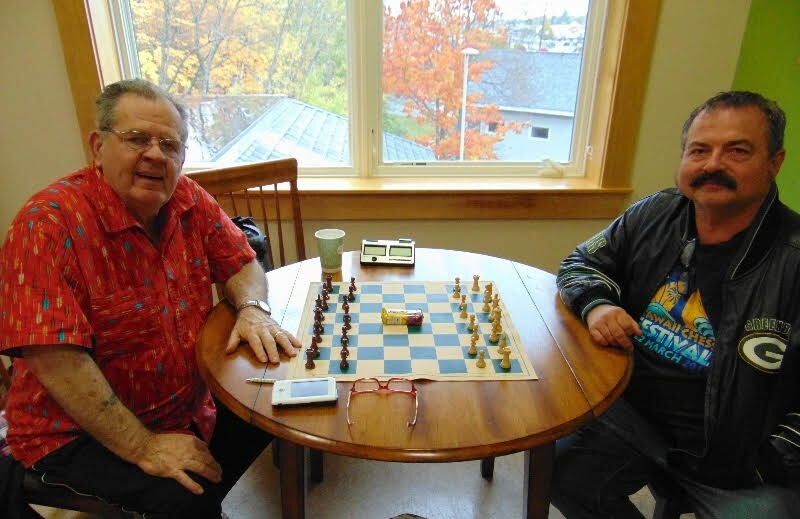 Roger Morin (left) and William Wenz share a game. 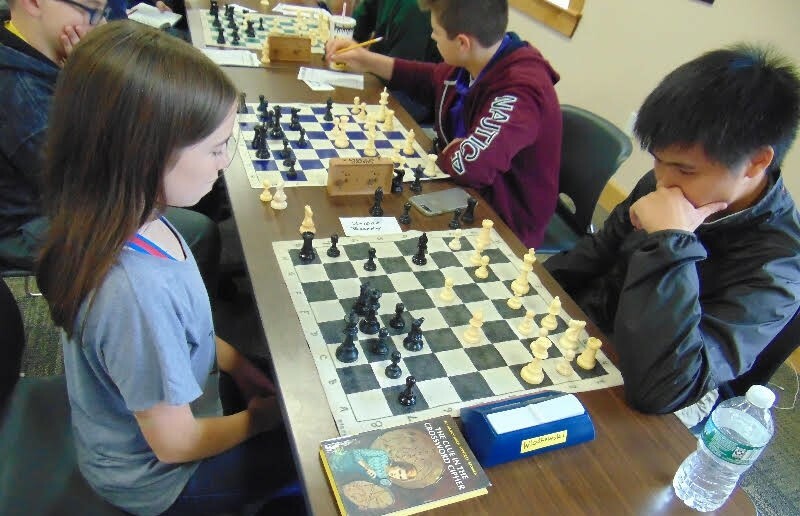 Tala Bayless (left) plays Tony Huang in the third round of the U1000 section. 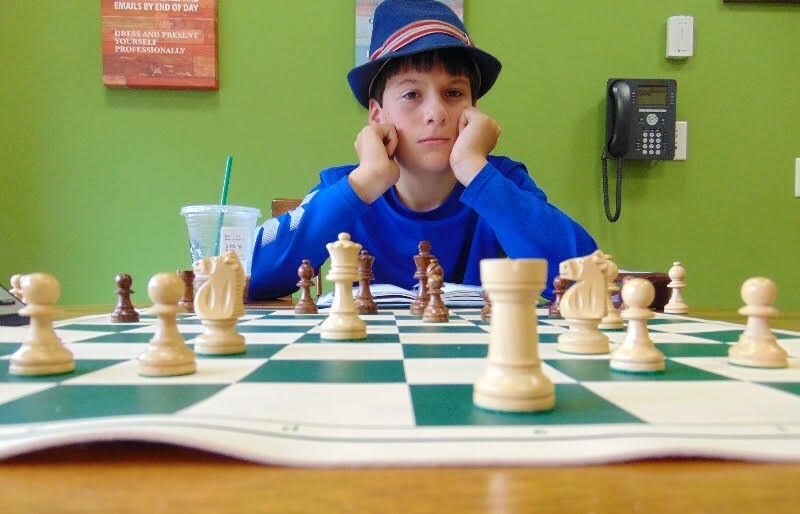 Roger Hardison waits for his opponent in the Open Quad section. 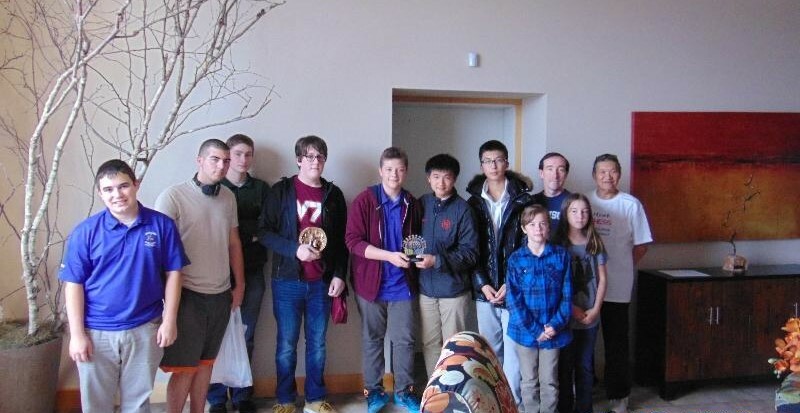 Thanks to all who participated to make this tournament a great success!